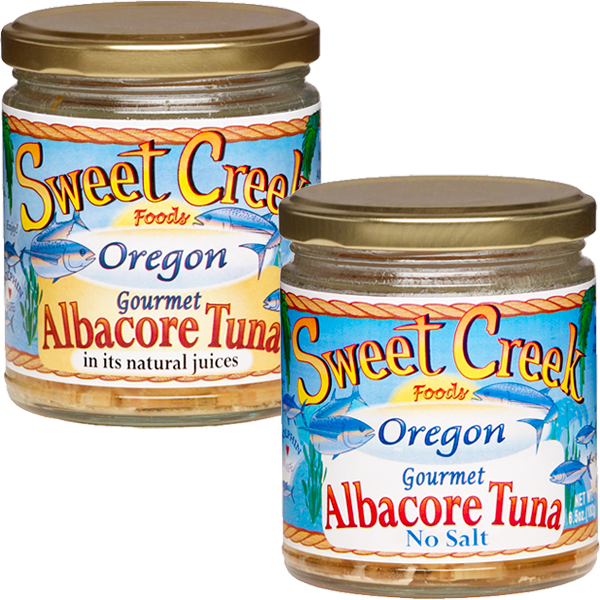 Enjoy the best albacore tuna. This Albacore Tuna is troll caught off the Oregon coast. We hand pack each jar using the finest loins. Our tuna is cooked only once, insuring lots of heart friendly omega 3 oils. We are proud to guarantee this is of the highest quality tuna that you’ll ever eat. It’s great to use in salads, sandwiches, casseroles or just eat it straight from the jar. We support the Oregon fishermen. They’re good at what they do!